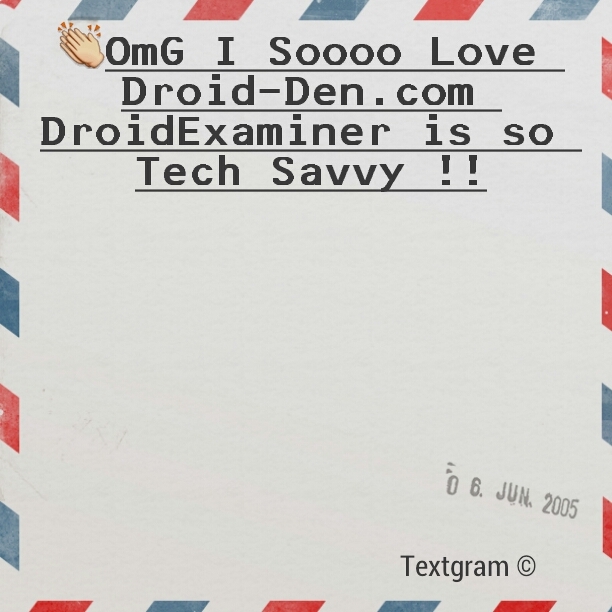 Hello my name is Richard aka DroidExaminer. 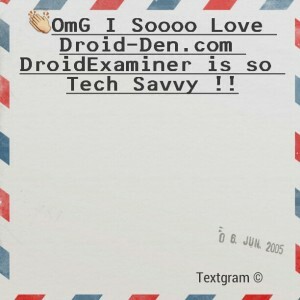 Here at Droid-Den on every Friday, I will give you a review on a couple of Google Play gems that I feel are worthy of a download. Here are this weekâ€™s must downloads. We all know who is Zynga is by now. If not you may have been living under a rock. Words with Friends, Zynga Poker, Hanging with Friends, or maybe the newly released Scrabble with Friends ring a bell? Well they now have a fun crazy addictive action/ defense game at our disposal. Take the action of Plants with Zombies, amplify the pace, amplify the graphics, add some crazy power ups, and you have a fun game that is easy to pick up and get challenging as you progress. There is a Campaign Mode that has players trying survive for over 31 Â days against the mounting zombie threats. Then Â you have another 30 nights that challenge again. There is about 30 power ups that help you destroy zombies. Some of them are falling rocks, rockets that attach toÂ zombiesÂ that send them sky-high (My Fav) , and also a revolver thatÂ auto shootsÂ out of your house. The gameplay is basic you use the touch screen to pick up and toss zombies any which way you like. They become like "rag dolls" upon touch and you must throw them away, slam them, or send Â them sky-high. (At first it may seem tedious but once you have hordes of zombies coming at you the action gets intense) This game also changes its pace at time. For example there was one Huge Zombie that I came across that could only by killed with power ups due to him being too heavy for my touch action to handle. It's a great game and well worth the money. I love card games. I know everybody favorite card is and always will be "UNO". But this game is a trueÂ hiddenÂ gem that many people overlook on a daily basis. You take the card game "Rummy" and then implement "sets or rounds and you have Phase 10. You basically start at Phase 1 out of the 10 phases. Some Phases require you to have a certain "set" of cards to put face down. You goal is to go through all 10 sets the fastest before your opponents. You have cards of 4 colors Green,Blue, Red, and Yellow. The cards have numbers 1-12. You also have wild cards which can take the place of any card of any color. Then you have the skip card which speaks for itself. One example of a "Set" is the first Set which basically expects players to have "2 sets of 3" (Three cards of the same number ex 3,3,3 and 6,6,6). Some other notables "sets are "1 run of 4 and 1 set of 3" (Any four cards in numerical order ex 2,3,4,5 and again a set of 3 (4,4,4) achieve the first "Set". The game starts with all players trying achieve the first Set.Â Every player has 10 cards and they start their turn by picking up a card from the extra pile like UNO. After the first turn the player has the choice to start his or her turn by picking up from either the discard pile or the extra pile to complete a Set. When they have the "Set" they must place it face up and their next notion is to get rid ofÂ theirÂ remainingÂ cards. How do i get rid of these cards if I pick up at every turn? Well if another player has Sets face up they have achieved, you can add to those by "hitting" or adding onto their sets. You can only "hit" after you have a Set of your own. If you have a Set complete and you have discarded all you cards you have finished the Set. All cards are collected and dealt again. But now you are working on Set 2. Any other players that did not complete a Set are stuck on that Set until they have completed it. The idea is to get all the way and complete Phase 10. I recommend to get the true experience of Phase 10 either pay .99 cents for the full version which allows you to play all 10 Sets. The Free version only allows you to play one Set. Download it and have fun! This app is pretty much a compliment to the always addictive and awesome Photo Sharing Social Network aka Instagram. Iphone users have used a similar app called "Tweegram" and now us Android users can have our fun also. Now I do not know about how robust "Tweegram" is, but Textgram seems to get the job down. Basically you make picture files that contain words that you can post to Instagram as square pictures. The Textgrams are already precut for Instagram sharing. You may want to announce a thank you for many likes or just make an announcement to your Instagram followers. This is where the app comes in handy. Now you can save these pictures and not always use them just for Instagram, but the app was intended for it. I havent played with it that much but you can change the font, change the layout, underline or strikethrough text, and also add emoticons. It's a great compliment and one would Think Instagram may invent a function similar to this for all their app in the future. In the mean time, download Textgram and give it a spin.